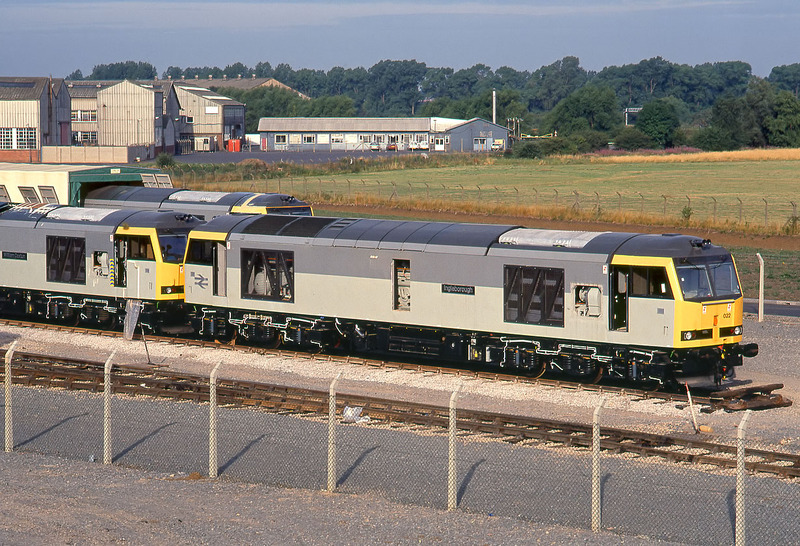 60022 Ingleborough in a almost complete state at Brush's works at Loughborough on 11 August 1990. Note that although the loco has already been named, it does not yet carry any bodyside numbers or sector branding on the triple grey livery. It was finally handed over to BR at the beginning of the following year. It is seen here in the company of 60026 William Caxton.